Heat oven to 375°F. 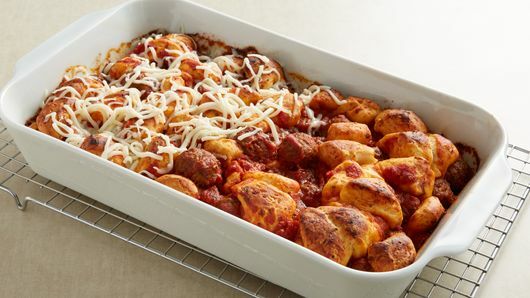 Spray 13x9-inch (3-quart) glass baking dish with nonstick cooking spray. Bake at 375°F. for 30 to 40 minutes or until edges are deep golden brown and biscuit pieces are no longer doughy. Sprinkle with cheese; bake an additional 2 to 5 minutes or until cheese is melted. Let stand 10 minutes before serving. 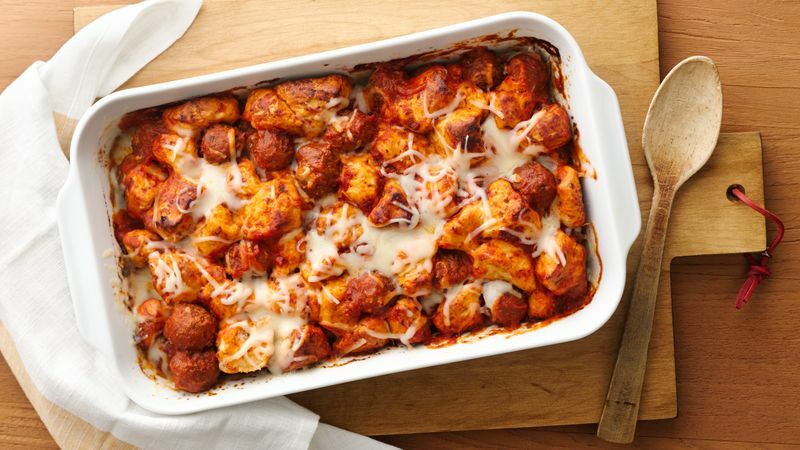 Want to make your own meatballs to use in this recipe? 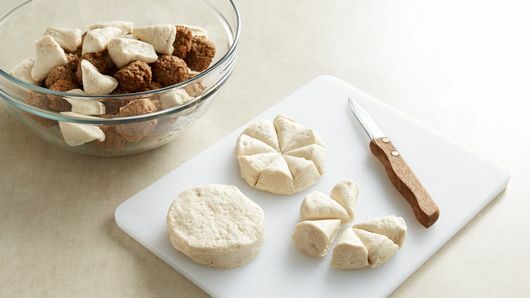 Our 5-Ingredient Meatballs are super-easy and freezer-friendly.